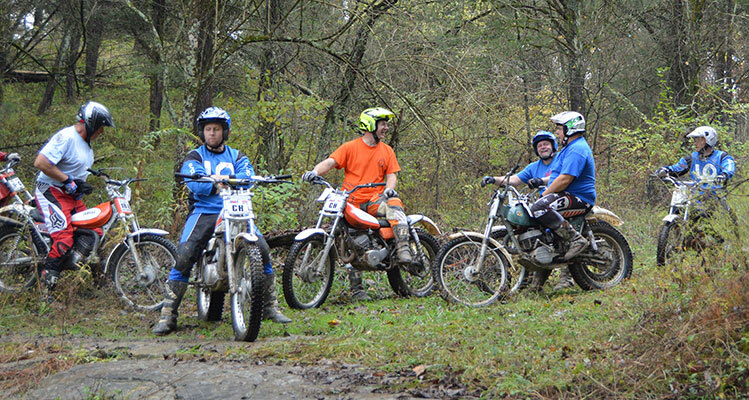 Trials Inc is one of the oldest Trials Clubs in the US. It was started in 1973 and continues to grow each year with new areas to ride and explore. We have events in Ohio, Kentucky and Indiana averaging 14 to 17 events per year. 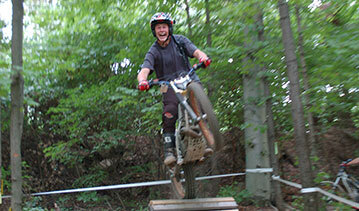 Our club has hosted several AMA/NATC National events and many of our riders compete at the National level also. In order to have your series points calculated with TI, you must be a TI Member. Members also get a plaque at our annual awards banquet as long as they rode the minimum amount of events for the series in their chosen class. Membership gets you involved with the club in many ways. You can voice your opinion and make a difference at our annual meeting held in conjunction with the awards banquet. Membership fees also offset the costs of our scorecards and our scoring and results system. Why do you want my AMA info? or What is the AMA? Trials Inc is an AMA Charter club. We purchase insurance for every TI event through the AMA and every TI event is AMA sanctioned. Every rider entered into a TI event must be an AMA member. You can join the AMA online at www.amajoin.com, or at the signup table at one of our events. Cost of an AMA membership is currently $49.00 per year. Click to download the TI membership application.